How to pay my respect to one of the greatest masters of Japanese cinema? Well, first of all with a ‘thank you’. 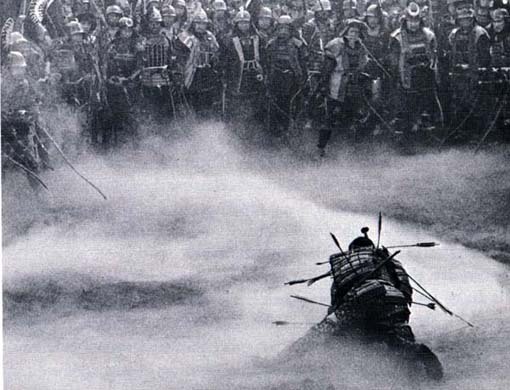 It is through one of Kurosawa-sensei’s films, Throne of Blood (1957) that I first encountered Noh theatre. While working on my MA dissertation at University of Verona (I was studying Shakespeare at the time) I fortuitously bumped into this screen adaptation of Macbeth. Kurosawa explicitly draws from Noh theatre to produce a masterpiece of black and white, sound and silence. Since then, I have seen Throne of Blood a zillion times, I wrote articles on it, produced the extras for the Italian DVD edition, etc.). Still the perfection of this film moves me as a few other things in my life did. My humble contribution to the genius of Kurosawa is in fact a token of thankfulness for having introduced Noh theatre in such a creative, yet ‘authentic’ way. Kurosawa not only loved Noh: he also understood it so well to know how to transpose its ineffable aesthetics on film, and with such a power. Akira Kurosawa has been long criticised by the Japanese for being too ‘Western’ – I say that it is thanks to artists who dare to do challenge the boundaries of genre, class, local criticism that an artistic dialogue, notoriously more effective than the political, can successfully take place. My reception of Noh started with his work, and I am doing my best to follow his example. So.. thank you, Kurosawa-sensei. 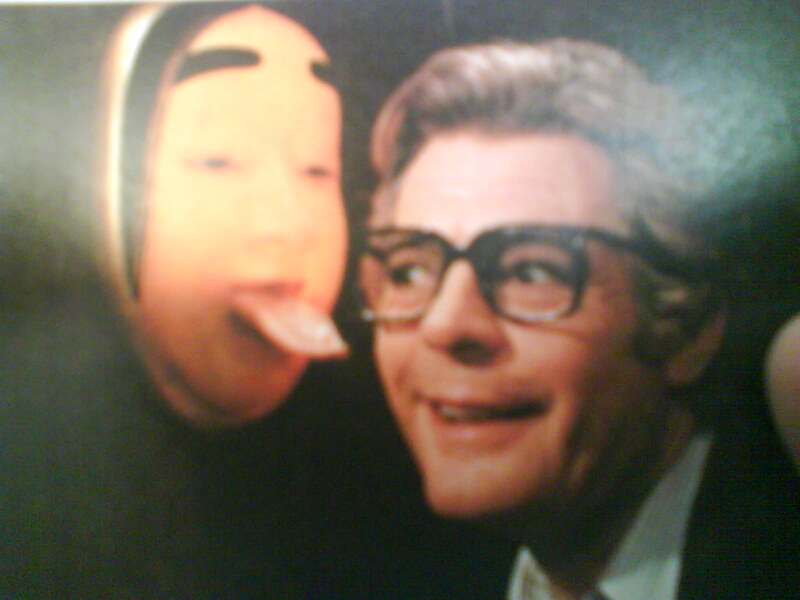 A still from Federico Fellini’s Intervista (1987), portraying actor Marcello Mastroianni in equivocal attitude with a ko-omote mask. I find the picture rather disturbing – Fellini style.